I own the first two but have not opened them as I know TWAU is a prequel. Well, I don't want to wait a year to finish the game just to start the books. My question is, am I better off waiting or does knowing the universe a little more add more depth to the game. Thanks. (Snow is very much alive in the comics). But, other than that I don't think that there's much else that I'd really consider a spoiler at this point. Yeah, I sort of figured that Snow would be in the comics and it was troublesome what happened to her in the game. The whole "Smoke & Mirrors" title sort of points to that too. Thanks for the info though. I will read them. Peace. Read them. 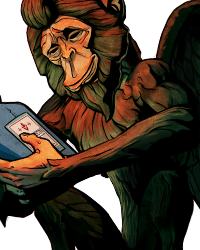 The comics have absolutely no tie-in or mentions to the events of the game, as the game wasn't even thought of at the time of Fables' creation. 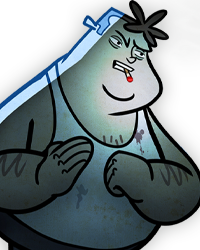 However, if you have a sharp eye, you can spot a multitude of little easter eggs and nods to the comics throughout the game. It really does add a lot of depth to the characters you see on screen, and it's something to tide you over between episodes. Besides the spoiler Zephyr mentioned, there's no reason not to read the comics from what I've seen. While waiting for the second episode of TWAU I've read the first 11 volumes of Fables (up to issue #75), and it's been interesting to see where the characters go. 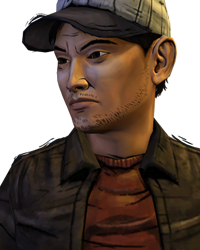 I do wonder if I'll experience playing Bigby differently now that I'm more familiar with his character, but as far as I can tell the options Telltale are giving are all broadly within character. I'm reading the books now and I'm really enjoying them! And If you want to know more about Bigby and read an amazing Fable comics read Werevolves of The Heartland. It was pretty epic almost made me cry. I've read most issues up to #129 in a week waiting for Ep2. Although i find the occasional creeping in of Bill Willingham's political preferences disgusting (American Civil War is called "Northern War of Aggression, Blatant Pro-Life Abortion, Pro-Israelism, Conservative BS, Gallophobia, and much more). It think you should give them a go. Is he also sexist, racist and homophobic? I've read most issues up to #129 in a week waiting for Ep2. Although i find the occasional creeping in of Bill Willingham's polit… moreical preferences disgusting (American Civil War is called "Northern War of Aggression, Blatant Pro-Life Abortion, Pro-Israelism, Conservative BS, Gallophobia, and much more). It think you should give them a go. Sounds horrible. Is he also sexist, racist and homophobic? For everyone reading the comics for the first time read a wolf in the fold it's in the first collected edition it's the story of how bigby saved snow and rose and just about every other fable u have seen including faith, it also explains how bigby became the sheriff of fable town. How does the Pro-Israelism look there, BTW? Read just up to #27 already, I think, and while I read about aforementioned Pro-Israelism from Wikipedia beforehand, I just fail to realize how it makes any connection with Fables. (Other than possibility of some Fable giving rant.) So I wondered about it. Bigby specifically is very pro-Israeli, going in so far as to support their...i'll stop here before a flame war starts. Whilst it wouldn't pose much of a problem on it's own, it's a very sensitive issue, especially to those who are Pro-Palestinian. How does the Pro-Israelism look there, BTW? Read just up to #27 already, I think, and while I read about aforementioned Pro-Israelis… morem from Wikipedia beforehand, I just fail to realize how it makes any connection with Fables. (Other than possibility of some Fable giving rant.) So I wondered about it. As I recall, you have awhile to go still before it kicks into full gear. It doesn't get incredibly noticeable until the issues leading up to the full scale war with The Adversary, I think it's somewhere in the late 50s, the Fables take all their ideas from the Israeli playbook. It gets very heavy handed with comparisons and references. All leading up to Bigby giving a several pages long rant about how Fabletown is just like Israel. How Israel, and by extension Fabletown, is completely justified in whatever methods they decide to use against others, ect. Oh, OK. Wasn't try to bait a flamewar. It just struck me as not-so-fitting. I get e.g. Bigby's being very much pro-life, as this was evident by his story with Snow. Moreover, while I certainly strongly disagree with Willingham ideologically, I get that it makes some sense for Fables to be pro-life (especially with wolf packs' instincts), conservative (hey!, they were around for a few hundred years! ), etc. It was just that Israel that struck me entirely out of place. Bigby specifically is very pro-Israeli, going in so far as to support their...i'll stop here before a flame war starts. Whilst it… more wouldn't pose much of a problem on it's own, it's a very sensitive issue, especially to those who are Pro-Palestinian. Should I read Wolf In the Fold first? For everyone reading the comics for the first time read a wolf in the fold it's in the first collected edition it's the story of how… more bigby saved snow and rose and just about every other fable u have seen including faith, it also explains how bigby became the sheriff of fable town. Sounds irritating. But I'd feel a bit hypocritical criticizing someone for injecting their politics into a comic just because I happen to disagree with those politics. I imagine right-wingers might have a similar reaction to reading a comic like Watchmen and yet I would hope they would still be able to look past the politics and enjoy it for what it is. I've been reading Fables for about a week now. And frankly, I don't know... 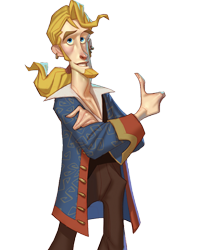 I loved TWAU without having any previous knowledge of Fables, and was able to play Bigby like I wanted to without any prior knowledge about his character. Apart from, you know, the whole big bad wolf thing. 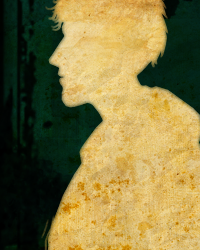 I heard Jack will be appearing in TWAU, normally I wouldn't know him - now I do, so if there's a surprise concerning him, I probably already see it coming. So in a way, I might've liked a clean slate more. That being said, I've gone nuts and read about fifty issues in a week time, once I managed to track them down in my country. 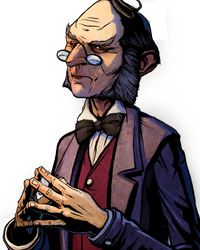 The comics are excellent, and there's some thoroughly awesome characters besides Bigby who I'd be delighted to see in the game. I guess there's something to be said for either upside. Need to track down Wolf in the Fold however, not been able to find it so far. Like I said before it does not hurt to read The comics, The wolf among us works as a standalone inside of the Fables world but if you do read the comics you get to learn about the characters and discover there individual histories and there united histories and you will most likely get a or a couple of favorite characters u will also fall in love with the world of Fables, reading the comics makes it a much better experience when playing the game like when u see a character that u like or some one talks about something that u can only understand if u have read the comics but most of all it gives you a much better understanding of the world like the way glamours,spells,how hard that fable is to kill or the way that they can come back to life, etc. for all the new readers do not forget to read the wolf in the fold, the great fables crossover, the unwritten fables. For any help please feel free to ps message me. I've been reading Fables for about a week now. And frankly, I don't know... I loved TWAU without having any previous knowledge of Fa… morebles, and was able to play Bigby like I wanted to without any prior knowledge about his character. Apart from, you know, the whole big bad wolf thing. 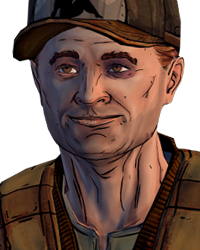 I heard Jack will be appearing in TWAU, normally I wouldn't know him - now I do, so if there's a surprise concerning him, I probably already see it coming. So in a way, I might've liked a clean slate more. That being said, I've gone nuts and read about fifty issues in a week time, once I managed to track them down in my country. 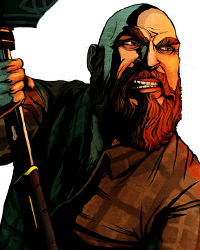 The comics are excellent, and there's some thoroughly awesome characters besides Bigby who I'd be delighted to see in the game. I guess there's something to be said for either upside. Need to track down Wolf in the Fold however, not been able to find it so far. I just finished reading "Fables: Legends In Exile" (Volume 1) on my iPad Air and it was great. You would be doing yourself a favor if you read the comics. They're awesome from what I've read so far. I agree that it is hypocritical, no one is making anyone read it and he's more than allowed to express his views in any medium he chooses. To be clear, I'm not judging or criticizing him for it. Only explaining how it's handled. I'm completely indifferent on politics and find to all either painfully tedious or hilarious rather than getting bothered by. Sounds irritating. But I'd feel a bit hypocritical criticizing someone for injecting their politics into a comic just because I happ… moreen to disagree with those politics. I imagine right-wingers might have a similar reaction to reading a comic like Watchmen and yet I would hope they would still be able to look past the politics and enjoy it for what it is. I don't know but the characters are so different from TWAU. 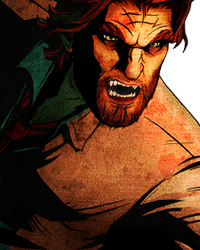 For starters, Bigby isn't the redemptive type we see in the game but is actually an immense dickwad in the comics. I second this. I got into Fables expecting Bigby to be tough but good-hearted type. I definitely did not anticipate e.g. his arranged murder of Crane or torture room with Baba Yaga hidden somewhere in town hall. Don't forget that this a prequel to the comics bigby might of saved all the fables from the homelands ,but bigby is still proving himself to all of them they are all waiting for him to turn back into the big bad wolf , bigby had held back his wolf side and nature for so long so when his eyes transform in front of faith and when bigby goes wolf-man in the bar this is really the first time in hundreds of years that he let go of his control, this case is what most likely cements the trust of all the fables and Snow White in him and this is why his attitude is so different in the comics because he no longer has to prove himself to them. The comic is great. I think the trades are in book 19 or 20 right now. It gives you more insight on how the characters interact with each other. It does create a weird void knowing what happens to these characters latter, but it makes this game that much better too. Toad's at the farm in the novels. And he's alone and depressed looking. TJ DIES! Or, that's my guess. If you have them on hand by all means read them. 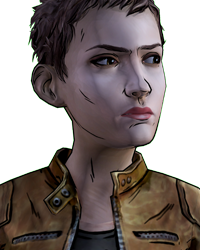 In addition to being amazing they'll really enhance your appreciation of what telltale has done with the game.